Sara Alvarez Kleinsmith is a freelance writer and yoga teacher who specializes in therapeutic, prenatal and corporate yoga. Her writing has appeared in the Huffington Post, Scary Mommy, and YogaDork, among others. She is a certified yoga teacher, personal trainer, and holistic health counselor. She considers herself an “Anatomy Geek” who loves to learn and teach about Somatics and embodied anatomy in asana practice. She was raised in San Antonio, Texas and pursued a musical theatre degree from Otterbein College in Westerville, Ohio. She moved to New York and received her first Yoga training in Vinyasa Flow from Sonic Yoga in midtown Manhattan in 2010. She then attended the Institute for Integrative Nutrition and was hired as a full-time yoga Teacher and health coach at Allen and Company LLC. She became a personal trainer through the Aerobics and Fitness Association of America and then became a student of the Breathing Project. Sara is inspired by the work of Bonnie Bainbridge Cohen, Leslie Kaminoff, Moishe Feldenkrais, Ida Rolf, Candace Pert, Trina Altman, J. Brown, Jill Miller, and most especially her teachers Lauren Wigo and Amy Matthews. Sara has taught corporate and therapeutic yoga at resorts, country clubs, yoga studios, wellness centers, and chiropractic clinics. In 2016, Sara became a mother and experienced postpartum depression and anxiety. This prompted her to write about her experience and to start BREATHE Yoga for Moms, which focuses on therapeutic yoga techniques for stressed mothers. She's currently writing for a number of online publications and working on a blog project, Dear Andy, which is a collection of letters to her son. Sara believes in the power of self-care, self-love, and self-awareness. She lives in Austin with her husband, Zach, and son, Andy. I love teaching and I believe it's my life's work. I teach as a speaker and as a writer. I enjoy creating new ways to frame concepts, mostly related to the anatomy of the body or how we perceive and process our own emotions. I love the use of metaphor, simile, imagery, and humor in my teaching and writing. I believe that a combination of grit and the relentless need to believe in the power of universal love is what drives me. Even as a child, I had the need to make sense of tragedy and danger and turn all events into life lessons. I've always been very spiritual. I believe in a higher power and a collective consciousness between all living beings. I believe that people are inherently good and blinded by their own egos. I believe all people if given love and the opportunity to open themselves can do incredible things. The most of which is to love and heal others. This is what I work to do every day. I work on healing myself. I give myself space and time and forgiveness. And I believe that this work will carry forward. If every person is accountable for their own self-love, universal love will inevitably follow. The grit I have is most likely inherited from both of my parents who were two ambitious balls of fire. But also from the tumultuous childhood I had, and from the fact that I had to grow up a little early. I've been in the work force since the week I turned 16. It was need based. That experience gave me the confidence that many my age didn't have. I learned the value of hard work, discipline, time management, and what it means to provide for your family and yourself. I also learned grit. Grit is not the willingness to get up again. It's losing your will completely and finding it buried deep within you, in places you didn't know existed. That has been the saving grace of my life, along with supportive relationships and my faith. Personally, I want to raise a quality human being. My son is 18 months old. I have a vision of the man I hope he becomes. I hope that he is open hearted and loving, but strong and courageous. I hope to raise him with the ability to set boundaries for himself, but also to be kind and serve others. I hope he has the ability to question himself and find what he needs within and in his relationships. My ultimate hope is that he be loved and that he loves. For myself, my personal goal is to be able to get calmer and stronger over time and to travel with my husband. Professionally, I plan to write. I blog and write copy but I want to write books. I'd love to write a book about the experience of motherhood, depression, and the lineage of healing. I also would love to be a speech writer for a politician whose work I truly believe in. I also think it would be cool to teach yoga on a campaign trail. I've taught yoga at software companies and on Wall Street. I'd like to extend that to even more people who think yoga is not for them. I love working with thinkers, problem solvers, and policy makers. 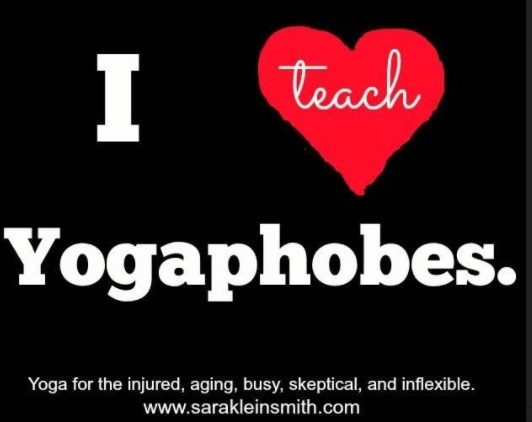 People who are yoga skeptics can find a home with me. I resonate with that skepticism and welcome the questioning and feedback. I'd love to teach yoga at Amazon or Google one day. What has been your biggest success and greatest challenge? Living through and learning the lessons of postpartum depression while parenting an infant and teaching yoga was not easy. I remember one day in a particularly dark moment, I called my husband on my way to teach. I was terrified and depressed and life didn't seem worth living. I told my husband I just wanted to lay down and quit. He talked me through it. I made it to class. I remember sitting down as I arrived and reminding my students to breathe. This was my proudest moment. That I could make it through my darkness and remind others what we can do to help ourselves made me feel proud. I'm proud of what I do. I'm proud of my students. I'm proud of my relationship with myself and that I bring my own experiences with me as teaching tools. I now teach BREATHE Yoga for Moms, and work with mothers to teach simple techniques on how to combat rage, anxiety, and depression through yoga. This is my biggest success to date, as well as my greatest challenge. I adore many things Carrie Fisher said, but I'm most guided by her words, "It creates community when you talk about private things." and I believe authenticity and sharing are a path to healing. In addition to Carrie Fisher, I'm always channeling The Unsinkable Molly Brown (both the person and the character as portrayed by the incomparable Debbie Reynolds), Amy Poehler, Peggy Olsen, Jeannette Walls, and David Edelstein. I also look up to my mother a great deal. As a yoga teacher, I'm inspired by my teachers Amy Matthews and Lauren Wigo. They are both unstoppable geniuses. I will never stop loving New York City. It was my dream to live there for as long as I can remember. I lived there for 8 years and moved away to start a family. I believe in my heart I may end up back there someday. Hopefully, they will have perfected the art of the gluten free bagel by then. What are your favorite products and tools? I love my Toyota Prius, which dependably gets me from class to class and makes me feel safe with my child in tow, and my Google Chromebook, which is perfect for writing and inexpensive. I also love my Aurorae yoga mat, and Pinky balls from Amazon, for massaging out sore muscles. Ipsy glam bags are also on my current love list. Makeup makes me happy. Right now, my greatest passions are writing, my son Andy, political activism, Sunday mornings, feminism, self-care in all forms, advocating for the support of mothers in order to heal the world, and learning how to do a pull up.